We specialize in small to medium excavation projects. 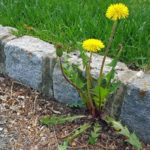 There are many landscaping related projects that are just too much for shovels and wheelbarrows and the heavier equipment must be brought in. Mini-excavators and skid steers are two of the most versatile work-horses available to a residential landscaper and they can make short work of almost any residential landscaping project when they are the right tool for the job. 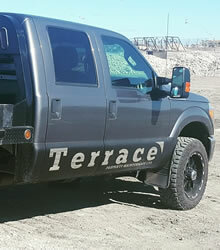 Terrace Property Maintenance Ltd. Is a full service landscaping and excavation contractor based out of Winnipeg, MB. We specialize in providing landscaping and excavation services for residential and commercial projects that just aren’t a good fit for larger machines. Instead we prefer to use mini-excavators, skid steers and even a mini-skid steer. 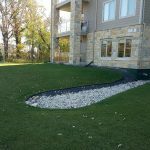 From placing a boulder retaining wall on your property to removing soil and other materials to building berms, parking pads and more. If you have a landscaping or excavation project that would be a good fit for our equipment let us know! 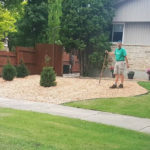 Why Choose Terrace Property Maintenance Ltd. For Excavation and Landscaping Services in Winnipeg, MB? 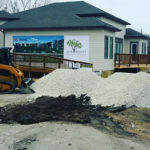 When you choose Terrace Property Maintenance Ltd. to provide excavation services for your landscaping project in Winnipeg you are partnering with a team of professionals who will care for and maintain your property as if it were our own. You can count on great communication, reliable service, and fair prices. Our team takes great pride in the work they do and we listen to the needs of each and every customer as no two properties are alike. 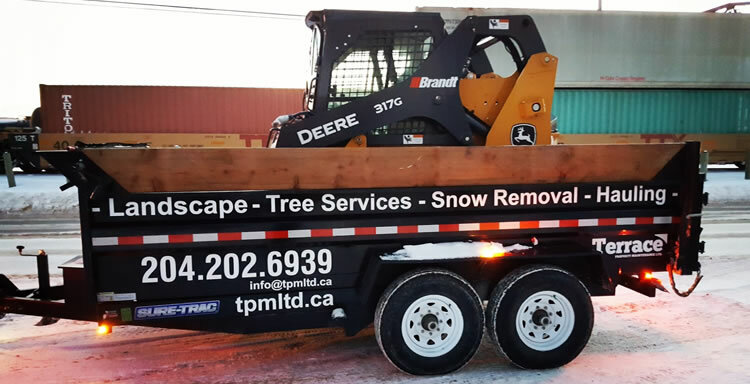 If you’d like to receive an estimate for excavation or landscaping services from Terrace Property Maintenance Ltd. please give us a call (204) 202-6939 or send us an email through our contact form and we’ll get right back to you.